The Exeter-Milligan School Board met Wednesday, April 16th in the Milligan site band room. Close to 50 patrons attended the meeting as one of the agenda topics included combining all of the elementary which are currently housed at both the Exeter and Milligan campuses. The building committee requested that Elementary Principal Laura Kroll prepare a presentation on combining the elementary grades. Kroll gave a power point presentation outlining the advantages for both the students and the faculty together in one facility. 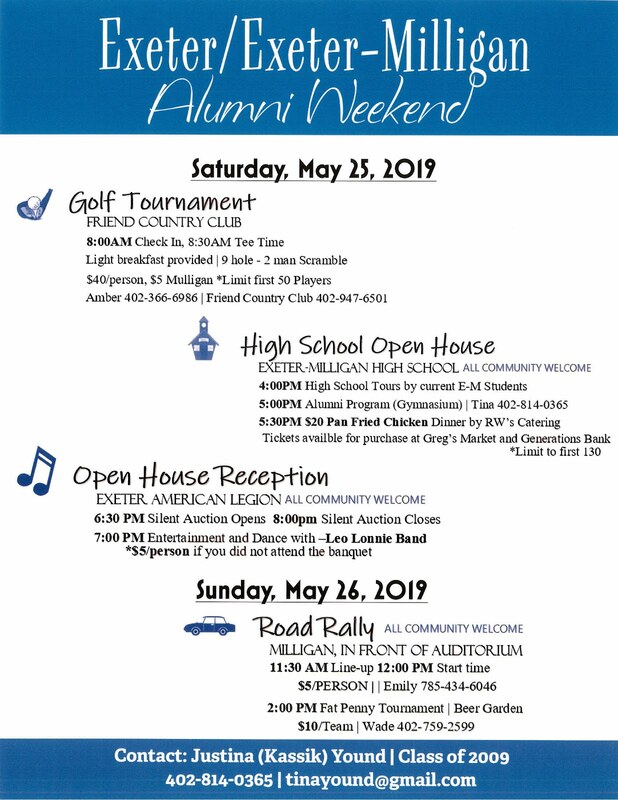 Kroll emphasized that combining all of the elementary would enhance the students’ educational experience as well as improve the teacher’s relationships by aiding in mentoring opportunities and providing better assistance with technology issues. The board did note that a lot of the expected costs in remodeling the current facilities include updating the heating and ventilation systems which should have been done 20 years ago. The board did not have any samples of remodeling plans or estimated costs. Another concern raised by the audience was the decreasing enrollment. 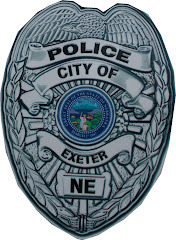 It was noted by an audience member that there was only one baby born this year in the old Exeter school district. After there were no more comments the board moved on to old business which included the agenda item to combine the kindergarten through sixth grade at one facility. Board Secretary Annette Gloystein referred back to the Curriculum report given by Kroll and commented, “I am concerned about why this curriculum report came through the building and grounds committee and not the curriculum committee.” Where does curriculum come in? I’m lost.The board tabled a decision on this subject unanimously. The next agenda item was in regards to the school discontinuing participation in the free lunch program. 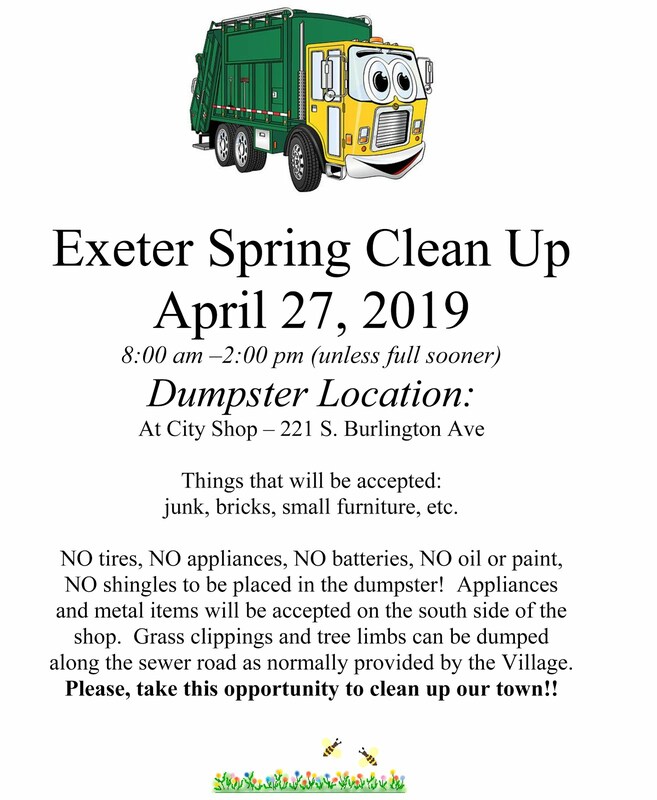 Instead, the district would fund the program in house and not have to abide by the portion and serving rules that the government has set forth. There would be very little extra expenditure on the part of the district. The board took no action on the school lunch funding. The board declined requests from Meridian and Friend to co-op junior high football as Exeter-Milligan has enough interested students to maintain a team. 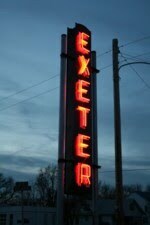 The board approved construction bids on the renovation of the field events at the Exeter site track. Work on new pole vault runways, a long jump runway, and a large high jump/multi-purpose practice area will begin around Memorial Day. 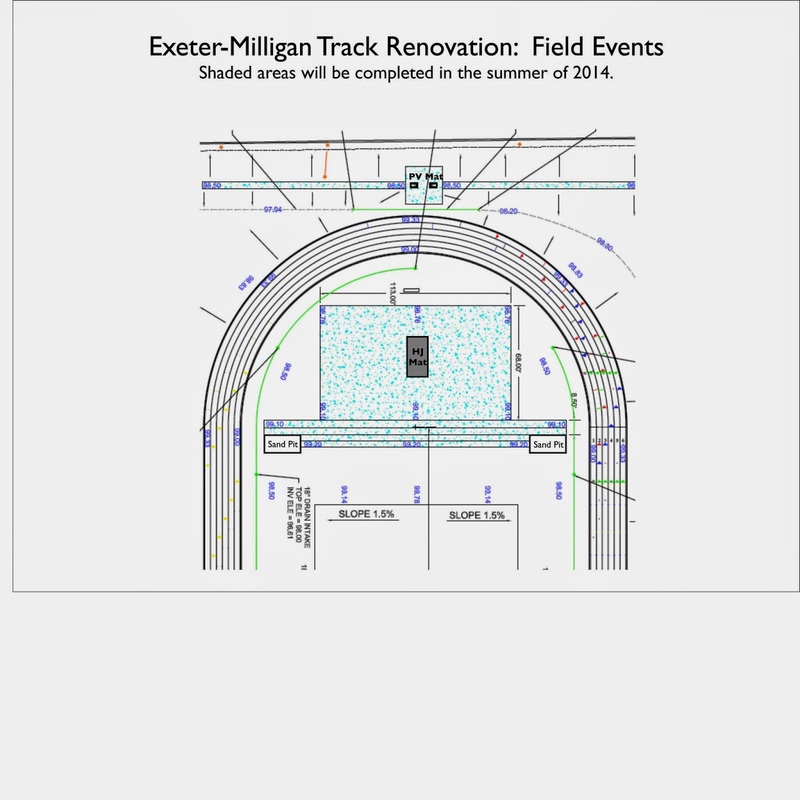 The plan shows shows the field event renovation at the Exeter-Milligan track in Exeter. The plan was designed by Midwest Tennis and Track of Denison, IA. The board approved contracts for a new art teacher, new K-12 Spanish teacher and a new 5th grade teacher. Sheffield noted that if the board did not combine the K-6 in one facility before the fall the district would need to hire one additional teacher to fill in for both of the positions left empty by the retirement of Audrey Betka-Magner and Bob Mahoney in Milligan.